H is a boy who always has his head in a book and there are often a few books on the go at once. Usually though it’s a thrilling adventure that he opts for and he hasn’t read so many factual books lately. 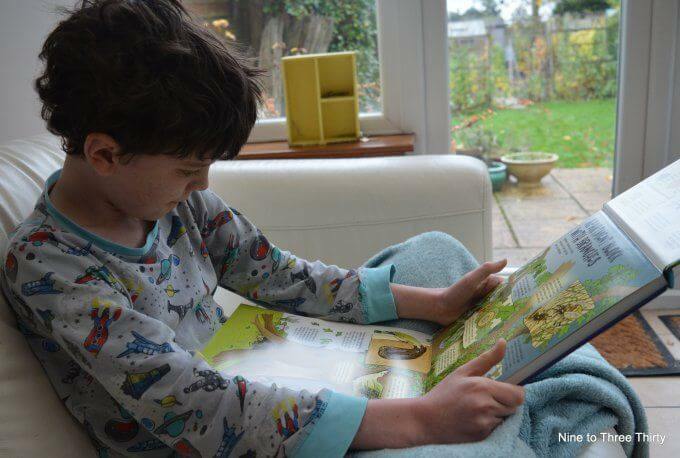 To tempt him back we have been trying some of Lonely Planet Kids’ good quality factual children’s books. 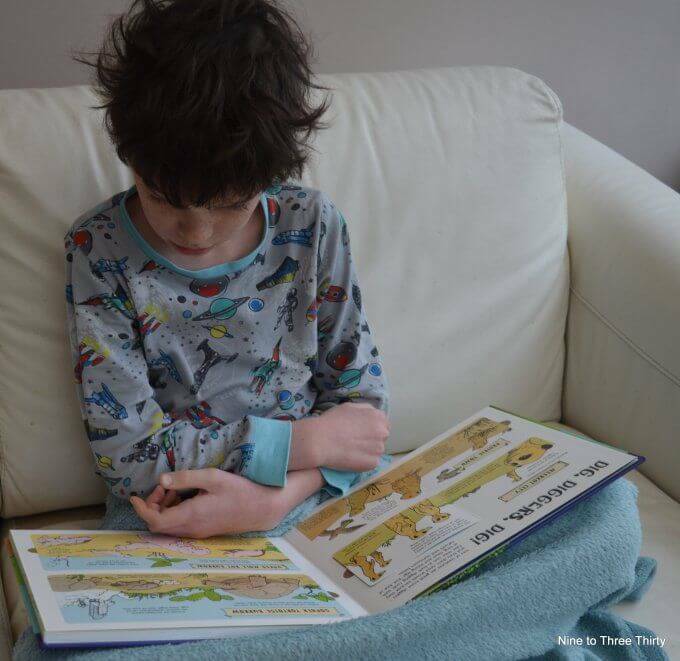 The biggest hit initially was How Animals Build which is a beautifully illustrated hardback book with lots of pages to unfold and flaps to open to find out more information. Thee;s a real sense of fun running through the book and I like the way they place animals within their environment, for example gopher tortoises live in Florida and some of them live near the Kennedy Space Center, so there is a fun pictures of the tortoises laying their eggs near to a space rocket. It covers the different ways even similar creatures build their homes, like the pages about birds as they seem to build all sorts of different nests from a wide range of materials. It’s a book that H has really enjoyed reading. The Big Earth Book is a much more meaty read. It’s a book that’s organised by the elements and it covers all sorts of things from history to geography, engineering to meteorology. I liked that the fire section covers topics as diverse as the fire of London, campfires, the steam engine and fireworks. The illustrations are a mix of diagrams, maps, photos and drawings to bring the world to life on the page. There’s loads of information here about the world around us and it’s presented in an engaging and fun way to capture a child’s attention. This is the sort of book we could use as a starting point for a school project, or simply when H is interested in finding out about something. 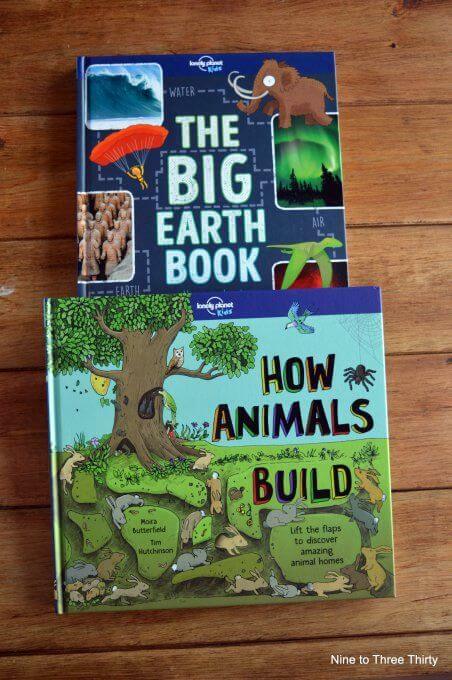 The Big Earth Book has the information in bite size chucks, but it isn’t lightweight because it covers the topics well and I certainly learnt a thing or two from reading it too. At www.lonelyplanetkids.com, they also offer lots of free activities to help take your knowledge journey further: there are activities families can do at home to the LP Kids blog, containing contributions from younger travellers and interviews with interesting people and travellers from around the world. Anyone signing up to the Lonely Planet Kids newsletter gets 30% off their first Lonely Planet Kids purchase as well as getting sent a range of inspiring family travel articles, fun activity sheets and news. Disclosure: This post is in association with Lonely Planet Kids. I didn’t know Lonely Planet published non-fiction books for kids, these sound great.